I’ve written before about a poster presented by AncestryDNA at the American Society of Human Genetics 2013 annual meeting, entitled “Reconstruction of Ancestral Human Genomes from Genome-Wide DNA Matches,” and a poster presented at the 2014 meeting entitled “Reconstruction of ancestral human haplotypes using genetic and genealogical data.” In these posters, the scientists at AncestryDNA revealed their efforts to recreate portions of the genomes of an 18th century couple using sequencing information from hundreds of descendants. Human genome reconstruction methods involve using science and technology to marry the past with the present. By using genetic material of living people, AncestryDNA has reassembled pieces of the human genome from a man named David Speegle and his successive spouses Winifred Crawford and Nancy Garren who lived in the early 1800’s Alabama. With many children between the two marriages during his lifetime, David and his spouses Winifred and Nancy were excellent candidates for reconstruction given the number of living descendants that all potentially carry a piece of their DNA. Here’s a link to more information about David Speegle and his wives Winifred Crawford and Nancy Garren. Apparently David and Winifred had 19 children, and David and Nancy had 7 children. According to his obit, he had 300 descendants at the time of his death. This explains why their DNA was so prevalent in the AncestryDNA database. Certainly not groundbreaking information about the Speegle family, but it’s a great start. Are you a descendant of David Speegle and Winifred Crawford or Nancy Garren? What are your thoughts on this reconstruction? I am a descendant of David Speegle and his first wife Winifred Cranford. They are my 3x great grandparents. Two of their daughters, Martha Beatrice and Amanda Filylend, are in my maternal line. My maternal grandmother’s parents were 1st cousins 1x removed so I got a double dose of the Speegle-Cranford DNA. While my brother and I both have blue eyes, our mother doesn’t but obviously she carried the recessive gene for blue eyes. Plus my brother is bald for what that is worth. 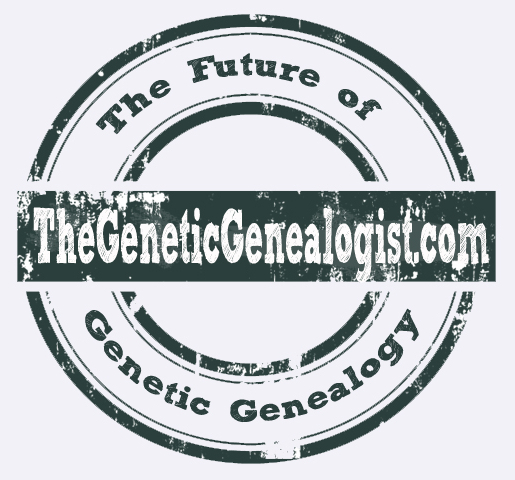 When I read about the AncestryDNA reconstruction, I was very curious about what it meant because David Speegle is a genealogical brick wall for our family. No one has been able to name and document David’s mother as far as I know. There is speculation between 2 women but no records have been found that answers the question consistent with the genealogical proof standard. If the AncestryDNA reconstruction could help answer that question, I’m all for it.But I’m a genealogist not a scientist so I have no idea if that is even possible. Teresa – The identity of David Speegle’s mother is exactly the type of question this reconstructed genome might be able to answer (although genealogists don’t yet have access to the reconstructed genome, so this is probably a bit in the future). Armed with Speegle’s DNA, other descendants of the two mother’s relatives could test (for example, descendants of Candidate Mother #1’s siblings, and descendants of Candidate Mother #2’s siblings) to determine if there is any shared DNA. If one of the Candidate Mothers is correct, then there should be some DNA shared between her descendants and Speegle’s reconstructed genome. In fact, because Speegle’s reconstructed genome is just a collection of DNA from descendants already in the AncestryDNA database, you don’t really require Speegle’s genome. The benefit of Speegle’s genome, however, is that it GREATLY increases the confidence with which you can make conclusions. Who are the two candidate mothers? I wonder if there are already descendants who have tested at AncestryDNA that are doing this analysis? Blaine – I believe that David’s mother was Barbara Lentz, daughter of John Henry Lentz and Sevilla Helsey. The descendant comparison you mention might be a little dicey. David’s father Daniel and 2 of his brothers, John Martin Jr and Jonathon married 3 Lentz sisters, Barbara, Ann Mary and Hannah Joan respectively. They all moved to the Mississippi Territory (later Alabama) together including Henry and Sevilla Lentz before 1814. To complicate matters even further, Barbara is believed to have died after 1814 (son Elkana was born in Alabama in that year). Her brother-in-law John Martin abandoned her sister Ann Mary and joined another Speegle sibling in Kentucky. At this point David’s father Daniel married David’s aunt Ann Mary, Barbara’s sister and John Martin’s wife. Daniel and Ann Mary had additional children together. 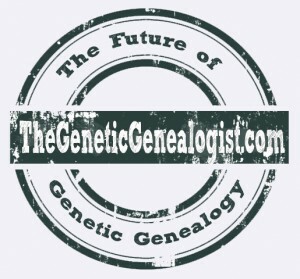 There are Lentz siblings that married non-Speegles and some of their descendants have tested on AncestryDNA. Myself and family members whose kits I manage have matched them, but with no basic DNA analysis or triangulation tools available to me on AncestryDNA, I hesitate to say the question has been answered. I haven’t checked on GedMatch to see if any of these potential Lentz cousins have uploaded their data there. The second candidate is Barbara Shook. The old birth and baptismal records of the Zion Evangelical Lutheran Church records of Catabwba (formally Lincoln) County, North Carolina where the family attended church has the following entry; “Daniel Speagle and his wife Barbara, a daughter Maria Barbara, born 4 May 1811.” There was more than one Daniel Speegle who married a woman named Barbara. Our Daniel’s nephew Daniel George Spiegel (son of his brother Michael Spiegel and Sarah Jarrett) also married a woman named Barbara, and this Barbara was Barbara Shook, daughter of Johannes Schuck (Shook) and Maria Grubb. So the circumstantial evidence of the name of Maria Barbara, is that the child was named for her grandmother Maria Grubb and mother, Barbara Shook. I have checked as well as I can on my family’s AncestryDNA matches and I can’t find any that include this Barbara Shook Speegle in their tree, But again without being able to do some basic analysis and triangulation, I can’t say one way or another who David Speegle’s mother was based on the information I have. Thank you very much for your interest. I would welcome any suggestions you might have for how this question can be addressed using the tools I have available. Great, thank you Teresa! It sounds like you have quite a mystery, although it is clear that you have a good handle on the DNA aspect. Hopefully at some point you’ll have some sort of access to the Speegle’s genomes, which will undoubtedly prove useful in your search. I am a double descendant from David and Winifrid my maternal Great Great Grandfatjer was FWH Speegle and my Paternal Great Great Grandmother was Martha Bearrice Speegle Guthery who were siblings. Dad is a direct descendant from his maternal line and would have Winifrids Mit DNA. So in reality I am my own 5th cousin.